The eyes have a tremendous impact on our appearance. Unfortunately, some of the earliest signs of aging are seen around that area of the face. 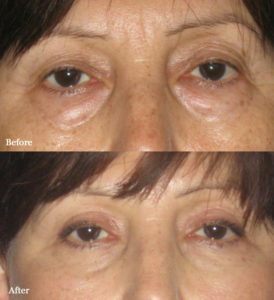 The skin of the upper eyelids often stretches out. In severe cases it may even protrude over the eyelashes and cause a loss of peripheral vision, interfering with activities such as driving or reading. Lower eyelids may become puffy or develop bags. When these changes take place, they cause you to look older and more tired than you feel. Eyelid surgery, or blepharoplasty, is a surgical procedure designed to lift droopy eyelids and remove excess skin around the eyes, resulting in attractive eyes that look fresh, well-rested, and alert. Dr. Rabinovich will examine your eyes prior to your surgery to determine the procedure needed and the best techniques to use. Typically, an upper eyelid blepharoplasty procedure requires less than one hour. The incisions follow the creases of your upper lids and are well hidden in the natural skin fold. During the procedure excess skin and fat are removed. Since the incision is located in the natural crease of your eyelid, the scar is very hard to detect once healed. 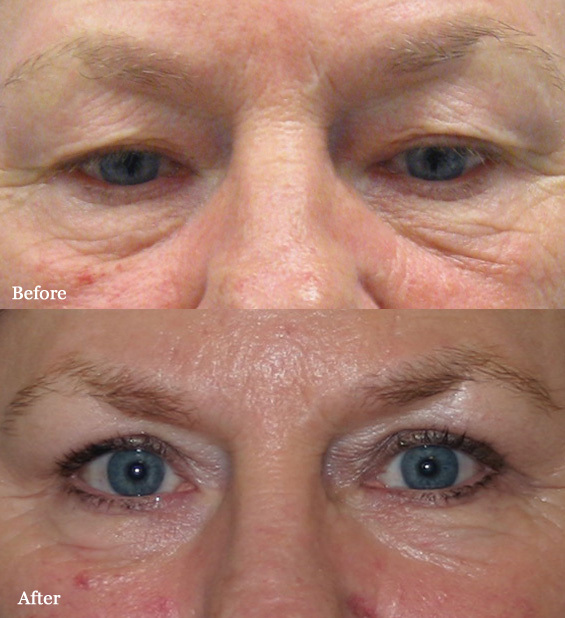 Lower eyelid blepharoplasty is performed to improve “bags” under your eyes and reduce the wrinkling of skin. When lower eyelids have excess skin, fine wrinkles or puffiness, Dr. Rabinovich will make an incision just below the lower eyelashes to remove the excess skin and fatty tissue resulting in a smoother, more youthful appearance of your lower eyelids. During this cosmetic eyelid surgery, special adjustments may also be made to the fatty tissue beneath the eyelids to eliminate puffiness and to improve the hollow look sometimes seen beneath the eyes. The lower eyelid procedure takes around one hour and can be done through an incision just under the eye lashes or on the inside of the lower lids. 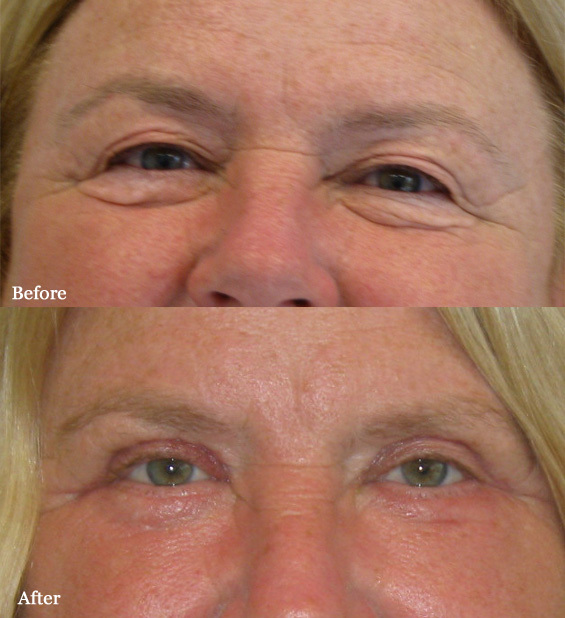 The positive results of your eyelid surgery include a more alert, youthful, and refreshed look. Initial swelling and bruising take one to two weeks to resolve and the sutures are removed in about five days. You may find that you feel more confident in business and social situations. Friends and colleagues may tell you that you appear happier or more rested, without realizing that you had eyelid surgery.